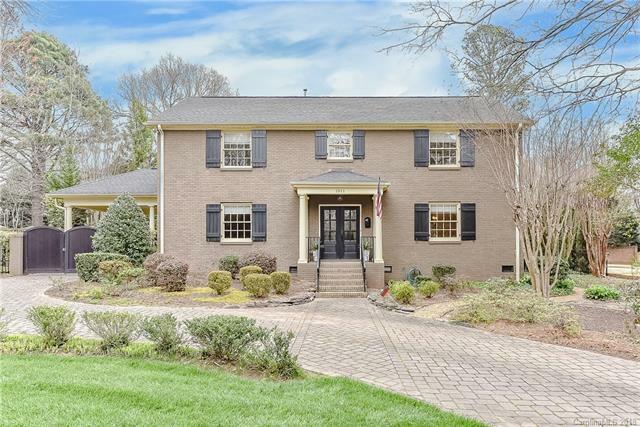 Traditional brick home in desirable Eastover. Complete remodel in 2010 by Metropolitan Builders. Office with custom built-ins. Living Room w/ fireplace. Formal Dining Room. Large Kitchen with eat-in island, granite counter tops, and stainless appliances. Kitchen opens to breakfast area with banquette and desk area. Great Room w/fireplace. Opens to veranda, patio, and fenced yard. Large Master suite with dual vanity, whirlpool, and walk in shower. 3 additional bedrooms. Porte-Cochere. Carport.